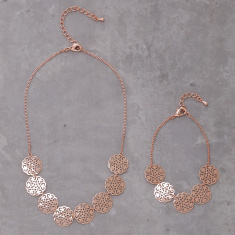 Add this alluring set to your jewellery collection to give it a stylish uplift. 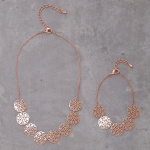 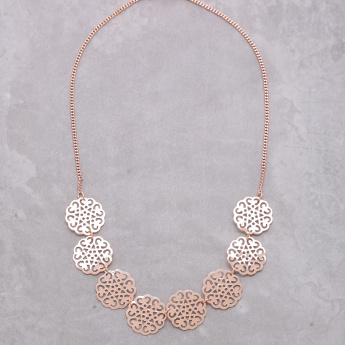 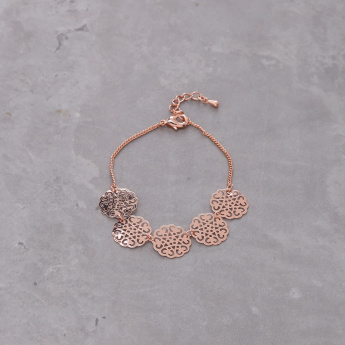 This necklace sports a floral-shaped metallic pattern to become a neutral pick for traditional and western attire. This set also includes a bracelet to lend your personality a graceful touch.